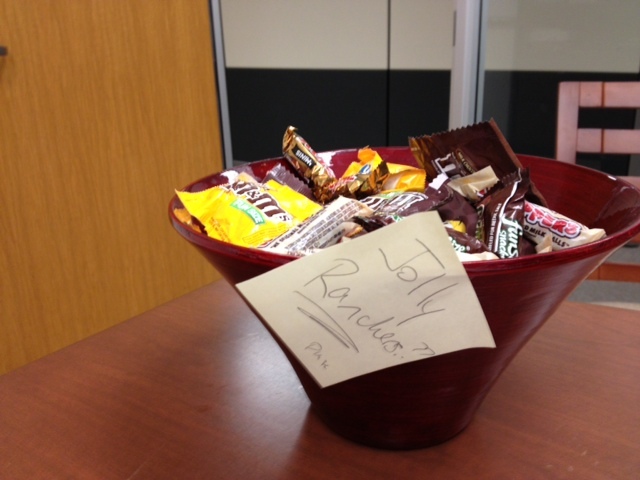 someone took a damn post it from my desk, and used my damn pen to suggest that I buy Jolly Ranchers. I can’t decide if I’m going to run out and get some because that is hilarious… or if I’m never (ever, ever) going to get them because that is obnoxious. I’m leaning towards buying them. 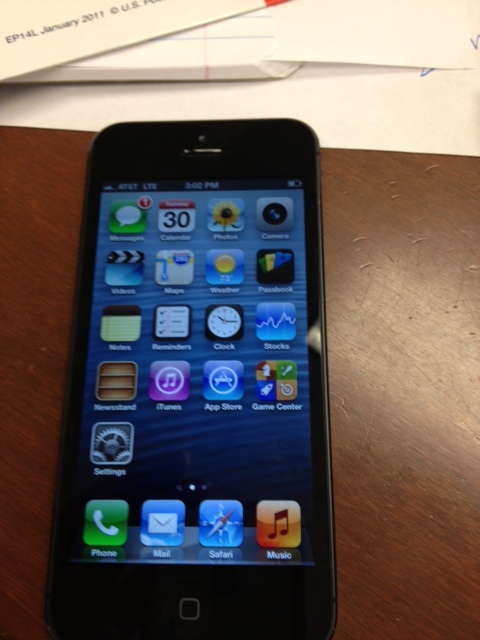 – My IT guy came by to talk (load up on candy, but I was here so he had to talk) and he had a brand new pretty iPhone 5 with him. I have no idea what happened, but I saw it and kind of blacked out. I grabbed it out of his hand and said “WANT”. I wish I were kidding, but that just happened. I need some Xanax. Get the damn Jolly Ranchers! Hilarious!